Swooping arms densely hung with inverted drop ornaments. 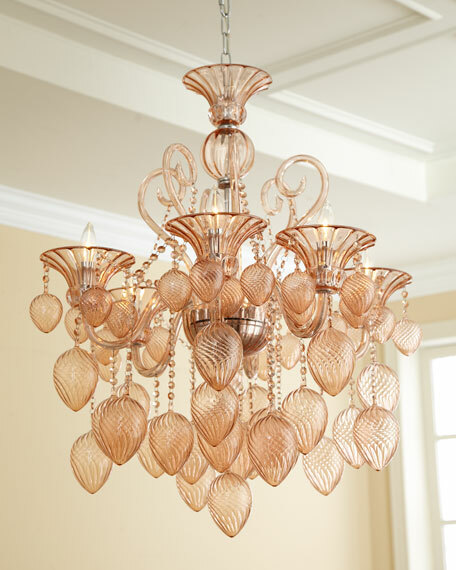 Made of blown glass with an applied blush color. Assembly and professional installation required. 30"Dia. x 35"T with 8'L chain.